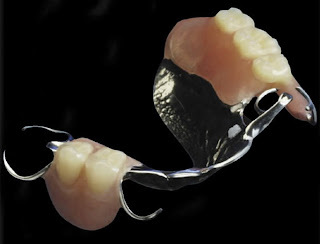 We can start by saying that there are 2 types of dentures, full and partial, and they can also be divided in sub-categories: plastic (acrylic), metal and combined (metal-acrylic). 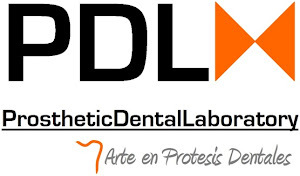 The decision of which one fits better your needs would be made by your dentist according to his judgment and criteria. 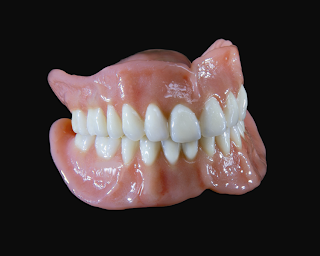 A full denture is basically an acrylic base that fits perfectly your gum y form and color. The base of the upper denture covers your palate, while the lower has a U form that allows your tongue to be in place correctly. There are some questions that you as the patient may ask, like for example how long before I get used to my new denture? How long my denture last? and some other concerning doubts about the use of a denture, so let's start with the first question. Dentures are made of acrylic that is welcome in your mouth, but sometimes the form of your gums may change a little bit after the remaining teeth were removed. This may take a few weeks or months before they finally adopt the form of the denture. On the other hand we have the situation were your mouth produces excessive saliva, your tongue feels a little tight with the remaining space left from the denture and your voice may sound different at first. All of this are normal simptoms of a new denture, but as with new shoes, you have to wear them for a bit of time so your feet gets used to them. They may strecht a little and suddenly you don't feel that your shoes are new. 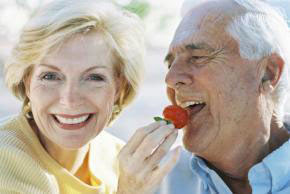 The same would happen with a new denture and with time your mouth and tongue get used to the new denture. But be carefull to inform your dentist if there is excessive pain caused by the denture. They are made commonly of metals (chrome cobalt mainly) that are approved to be used orally, and after an impression taken from the dentist to make a mold of your mouth and the remaining teeth, technicians make at the laboratories the form of your mouth and the spaces were you need one or more pieces. With that mold and the metal frame designed to be attached to your mouth by some clasps, now there is an structure that will have premade acrylic teeth that would help to cover the spaces, but mostly to enable a better and comfortable chewing.